Enriching the quality of life for people everywhere. Since 1984 StatSpin has simplified and accelerated sample preparation in hospitals, stat labs, clinics, physicians' offices and veterinary practices around the world. 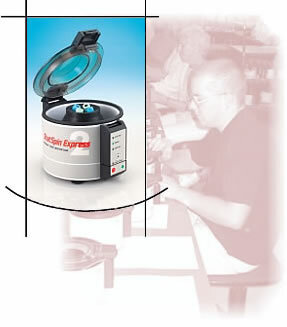 The current product range includes the world's fastest blood separator (30 seconds); a primary tube centrifuge which can produce platelet-poor-plasma in only 2 minutes; a closed system for preparation of sediments for urine microscopy; a low cost cytocentrifuge for clinical and research applications; an automated sedimentation rate analyzer and a wide selection of innovative sample collection and processing devices. StatSpin continues to be the leader in in-vitro diagnostic products, which provide lower cost, improved efficiency and enhanced safety for the laboratory.